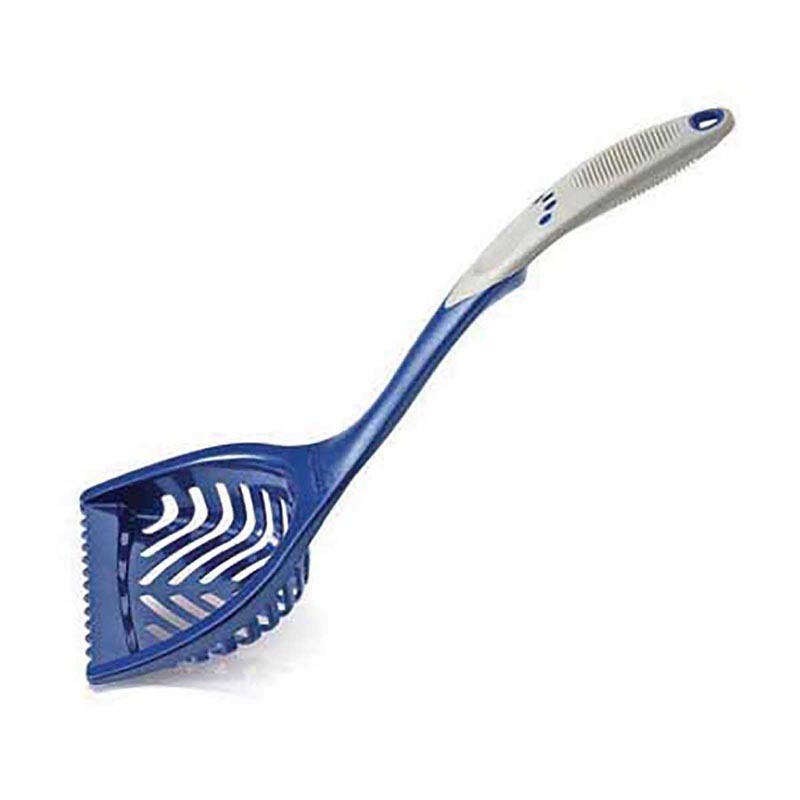 This heavy-duty 18 litter scoop is ergonomically designed to allow the litter box to be cleaned while standing. The extra-large scoop sifts faster, while the serrated edge gets under the toughest mess. Easy grip handle. The perfect scoop for multi-cat homes. Ultimate Litter Scoop.